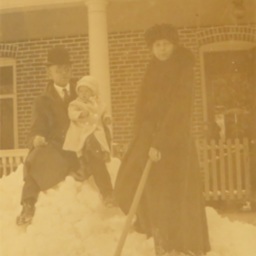 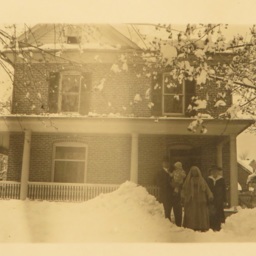 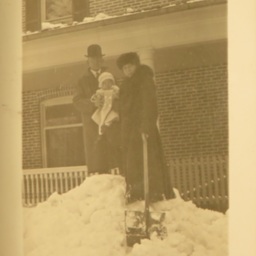 Photograph showing J.R. Miller holding his daughter Josephine Miller (Lynn) along with an unidentified woman in from of the Miller residence at the corner of Muhlenberg and Spring Streets in Woodstock Virginia. 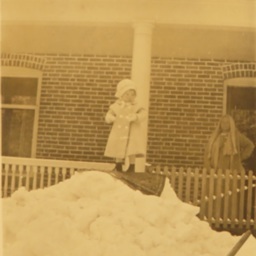 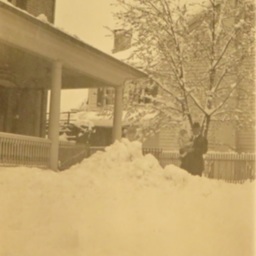 Photograph showing toddler Josephine Miller (Lynn) in front of her residence at the corner of Muhlenberg and Spring Streets in Woodstock Virginia. 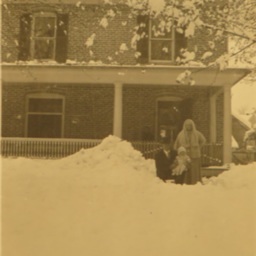 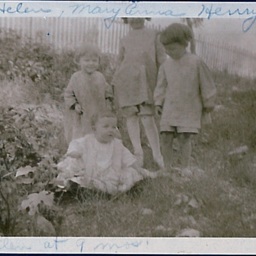 Photograph showing J.R., Josephine, and Mary Miller in front of their residence at the corner of Muhlenberg and Spring Streets in Woodstock Virginia. 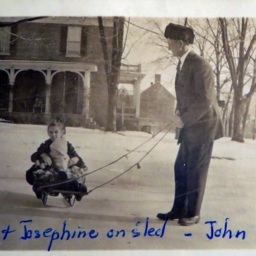 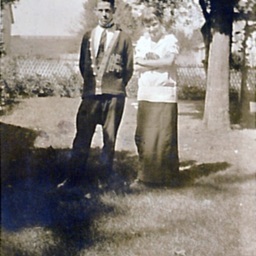 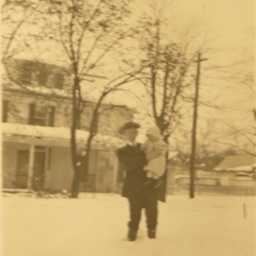 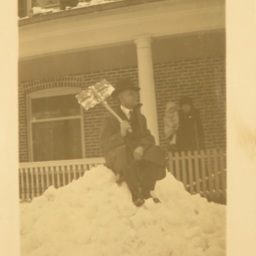 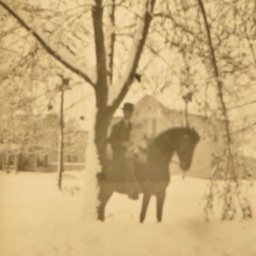 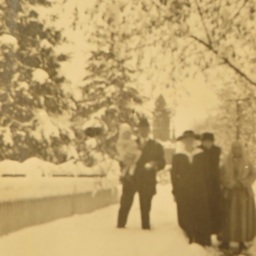 Photograph showing J.R. Miller holding his daughter Josephine Miller (Lynn) in front of their residence at the intersection of Muhlenberg and Spring Streets in Woodstock Virginia. 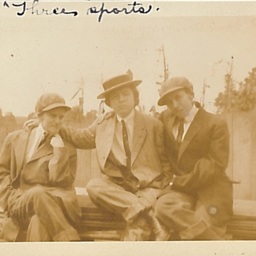 Undated photograph showing thee women dressed as men and labeled "three sports"
Undated photograph showing the "K.E.Y. 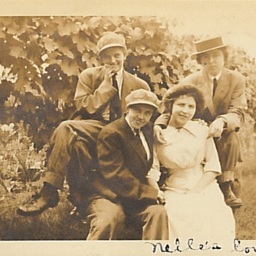 club house"
Undated photograph showing a woman and three women dressed as men. 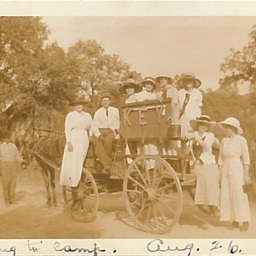 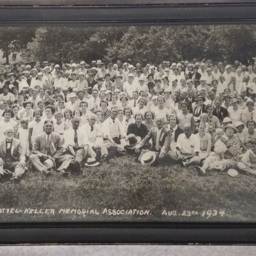 Labeled "Nelle's lovers"
Photorgaph showing a group of women and two men with a wagon labeled "going to camp, August 26 1913"
Photograph showing several women playing cards at the "K.E.Y. 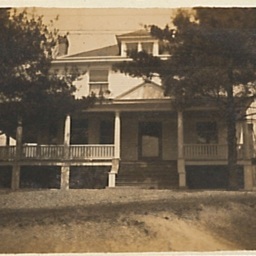 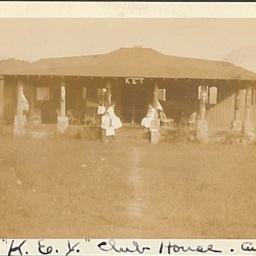 Club House" in August of 1913. 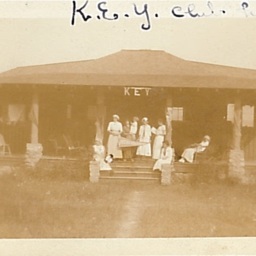 Photograph showing several women on the porch of the the "K.E.Y. 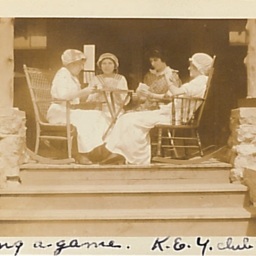 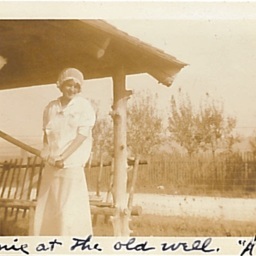 Club House" at an unidentified location in August of 1913. 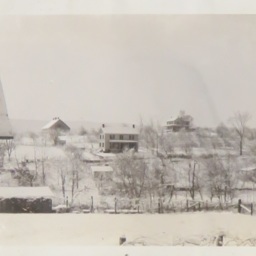 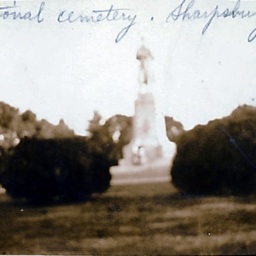 Undated photograph showing the Private Soldier Monument at what is now the Antietam National Cemetery in Sharpsburg Maryland. 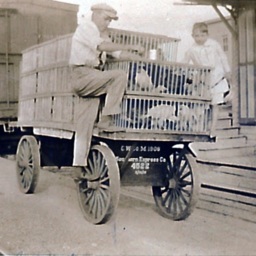 Photograph showing two boys on a Southern Railway Express Company loading wagon filled with chickens at an unidentified railroad depot in October of 1914.